The perfect mix between feminine and sporty. 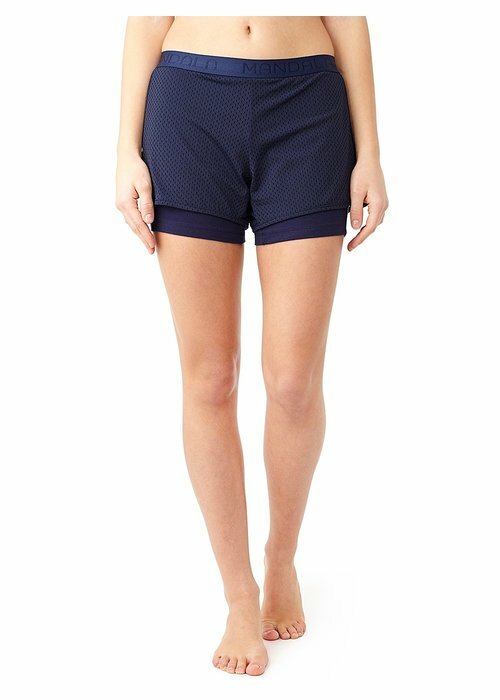 These soft organic cotton shorts have a comfortable fit and mid-thigh lengt. Beautiful details like a hem with mesh, decorative drawstring, and flattering seams give these shorts luxurious look. 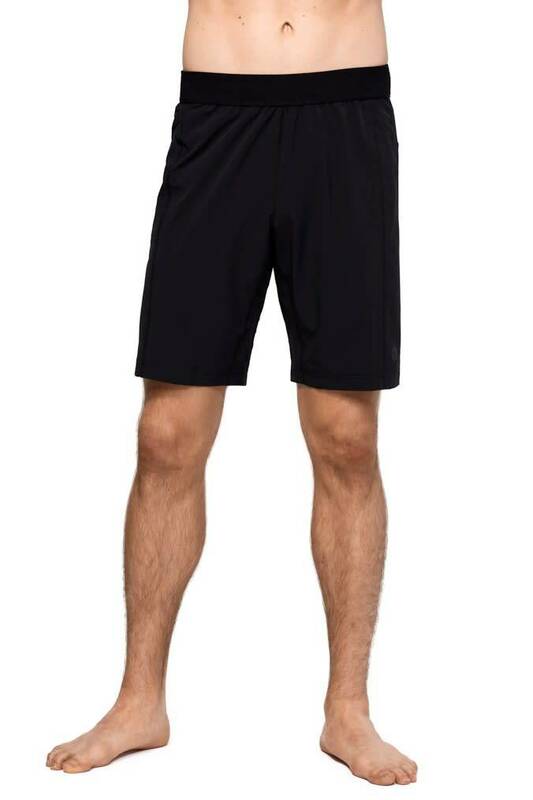 These sporty mesh shorts have a loose mesh outer layer and tight-fitted inner shorts, which prevent unwanted exposure. The elastic waistband provides strong support and keeps the shorts in place in all postures. This yoga short has a wide elastic waistband and hits you just above the knee. Made with lightweight, quick-drying material with four-way-stretch - perfect for more intensive types of yoga. This yoga short has an extra high waist and adjustable length. Yogashort made of elastic and lightweight material. With the strings on the sides you can adjust the length of the short yourself. Perfect for Bikram or Hot yoga. The Flirt Short is lightweight, breathable, and moves with you like a second skin. The wide band at the waist is very figure flattering and can also be worn folded on the hip. Dusted in rose gold stars, the Starry Vibes Stretch Asana Short is a lightweight short perfect for yoga, meditating and throwing over your bikini en route to the beach. This short has a fitted inner short made of elastic material and a mesh loose fit outer layer. Made of lightweight and quick-drying material.